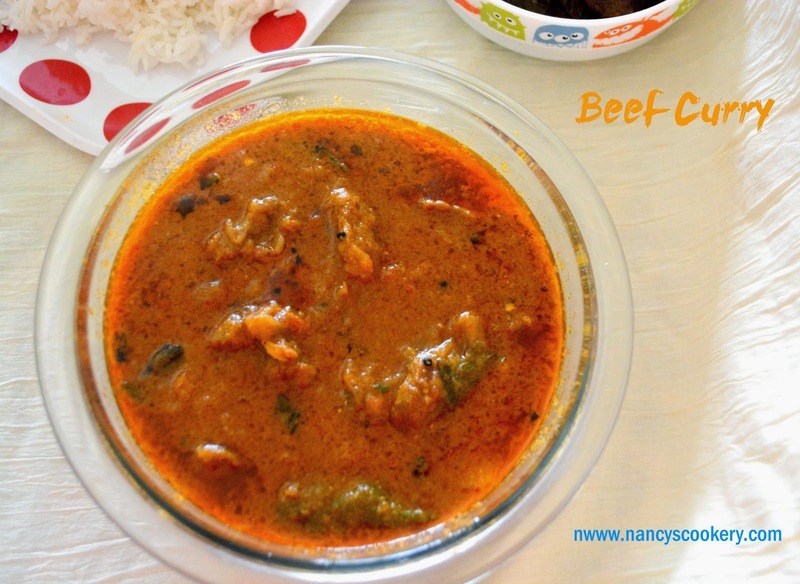 Beef curry is one of the dish we prepare in non-vegetarian homes. Beef is good for health. My Gynecologist recommended this during and after pregnancy to increase the blood count. They prefer cow’s meat than chicken or goat to increase your blood count. So consider taking beef into your regular diet. 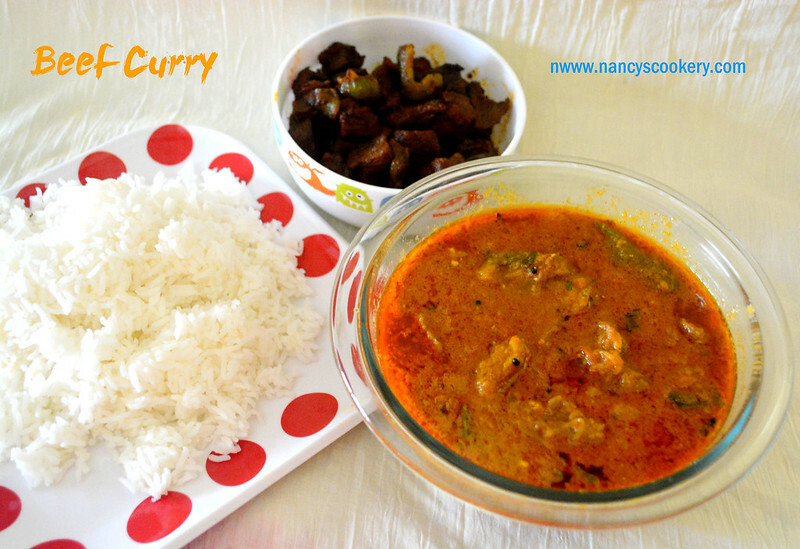 Let’s see how to prepare this beef as a delicious curry. 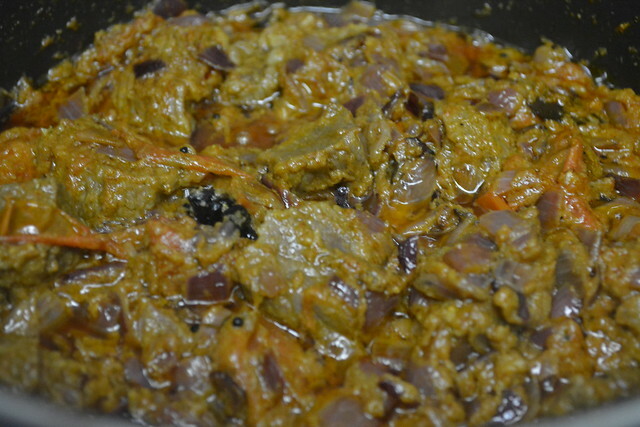 The ingredients may look so many but the process of cooking is easy and the taste is great. Ginger Garlic Paste – 1.5 to 2 tbsp. 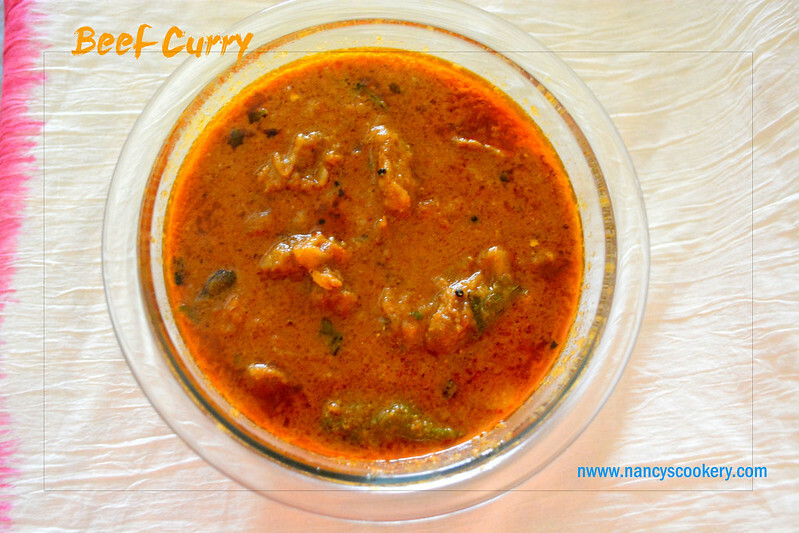 Coriander Powder – 2 to 3 tbsp. 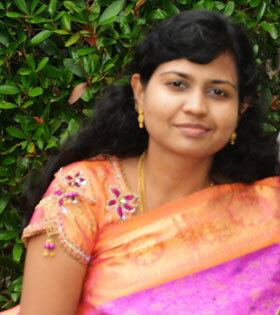 Mustard seeds – ¼ tsp. 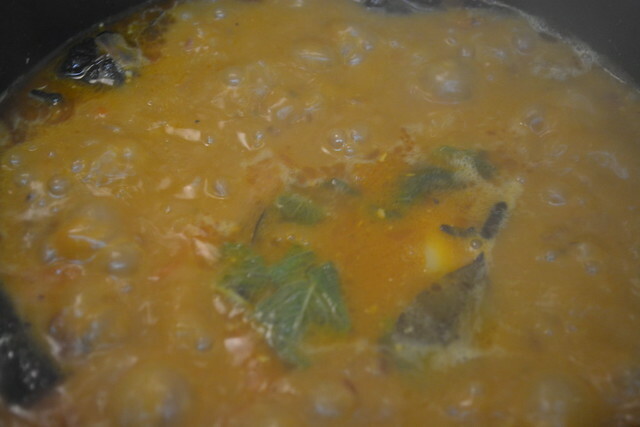 Urad Dhal – ¼ tsp. Coconut shredded – 2 tbsp. Poppy seeds – ¼ tsp. Fennel seeds – ½ tsp. Chop the beef into medium/ small cubes and wash them thoroughly. Pressure cook the beef with just enough water to immerse the meat and little salt for 4 to 6 whistles in medium to high flame. (Cook the as you usually would do.) and do not drain the water after it is cooked. I added it while cooking the beef instead of water. 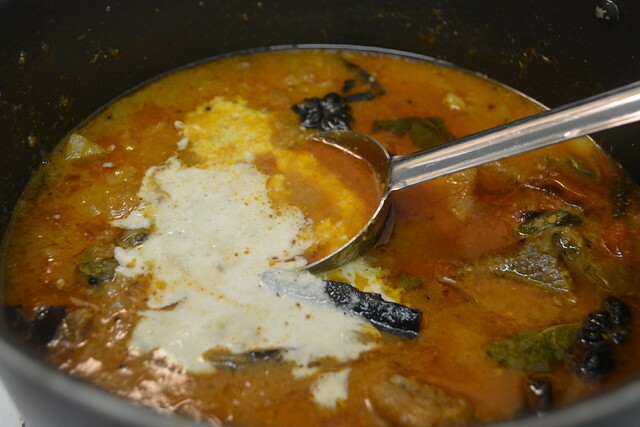 Adding the broth doesn’t make the curry smelly because we are adding mint leaves. While pressure cooking the meat grind the ingredients to be ground. Peel and chop the potato into small/medium sized cubes. Chop the onion, tomato, and make ready all the other ingredients. Heat oil in a pan and Temper with items given under tempering. 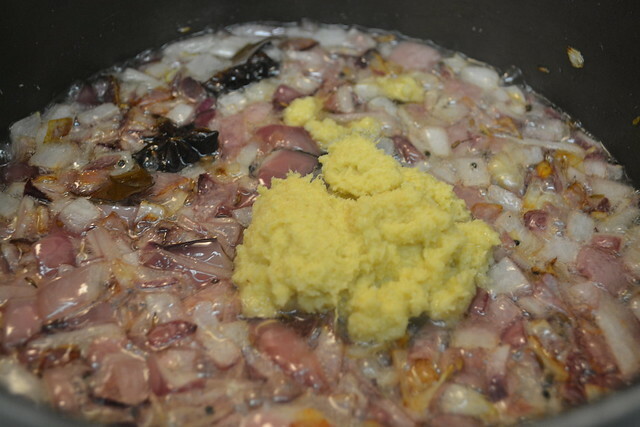 Fist add mustard, urad dhal and then the spices. Spices should bulge and send nice aroma. 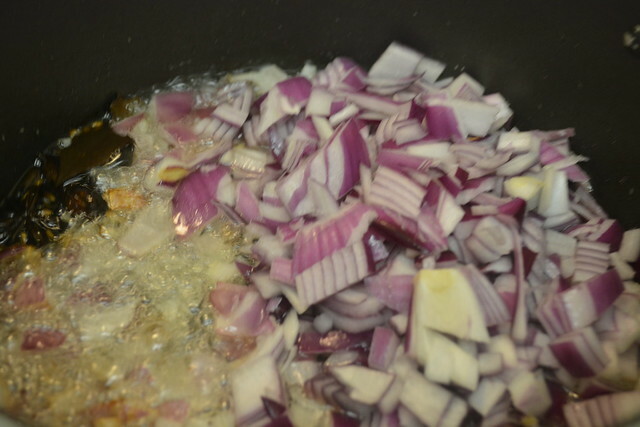 Then add onion and saute it till slightly browned and add ginger garlic paste . Once the raw smell gof ginger garlic paste is gone, add tomato. 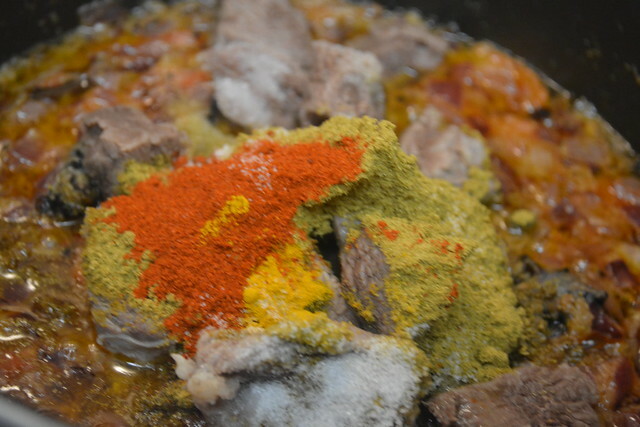 Do the same with tomato and add beef, chilly, turmeric and coriander powders and salt too. Stir it once. 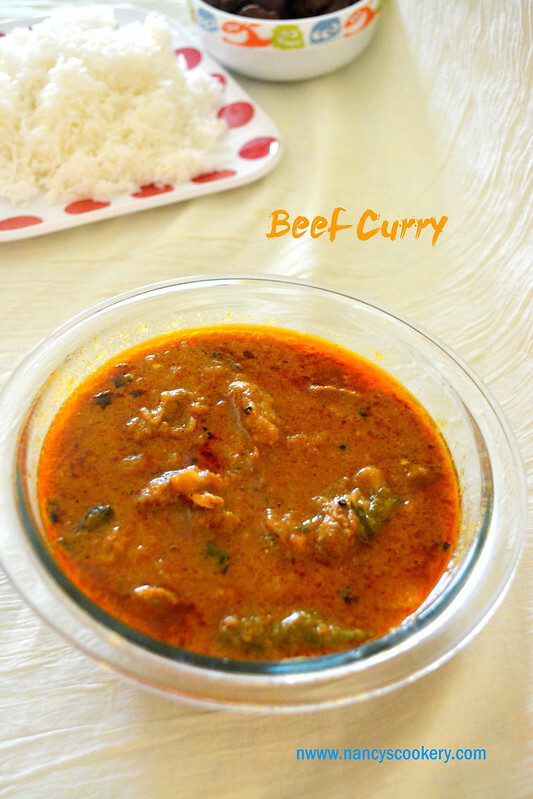 And saute it for a minute so that the beef is combined with masala, then add the broth of the cooked beef instead of water. 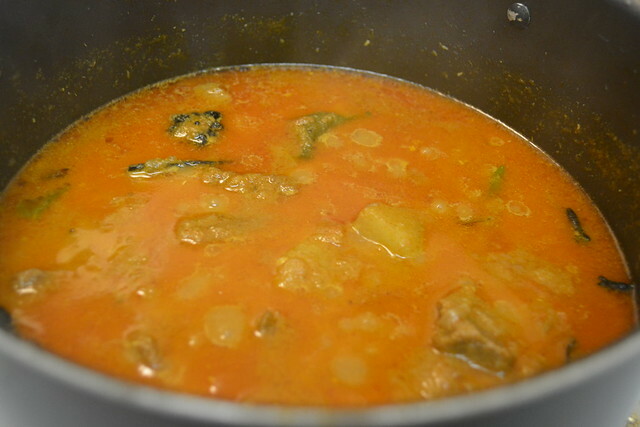 When the curry starts to boil, add mint leaves and potato. 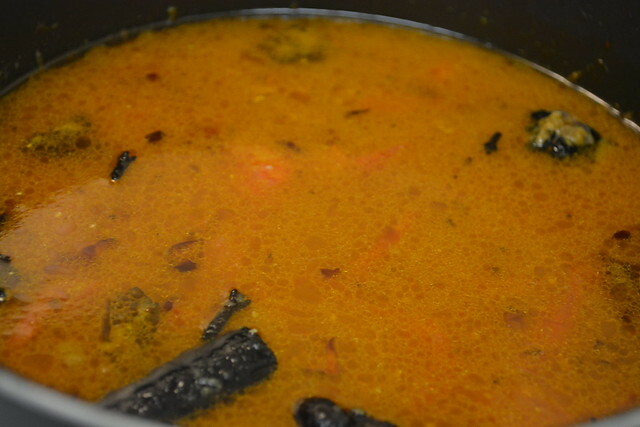 Boil the curry well until the oil to separate from gravy and the desired gravy consistency is reached, add the grinded ingredients and bring a quick boil (by keeping the curry in high flame). Then switch off the flame. 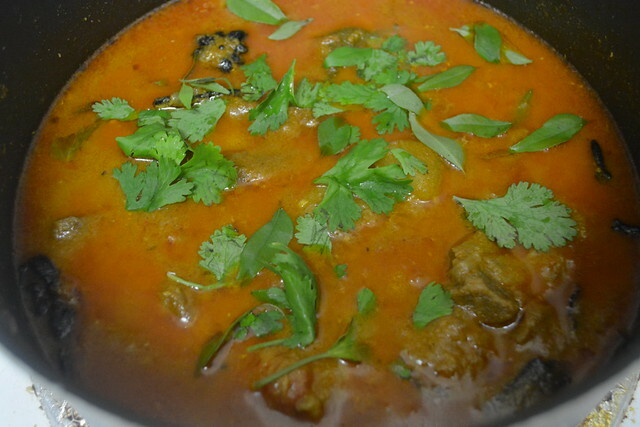 Add cilantro and curry leaves and close it with lid, keep it closed for 2 minutes. The mix well and serve hot.